3 pack navy narwhal crew socks. The original kick-proof socks with non-skid application on soles. 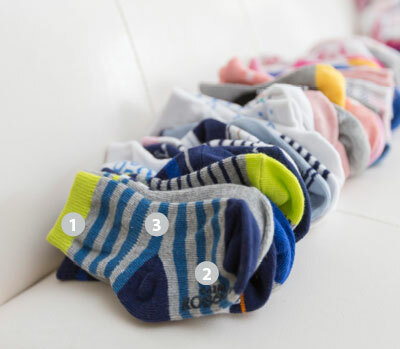 Parents love our socks because they stay on in all kinds of play. An elastic gather at the ankle ensures that our socks stay on while a skid resistant application on the soles helps prevent slips and falls. Once you try our socks, you and your baby will love them as well.